175 thousand boe/d in 2013. We have a 45% interest in the Majnoon oil field that we operate under a technical service contract that expires in 2030. The other Majnoon shareholders are Petronas (30%) and the Iraqi government (25%), which is represented by the Missan Oil Company. 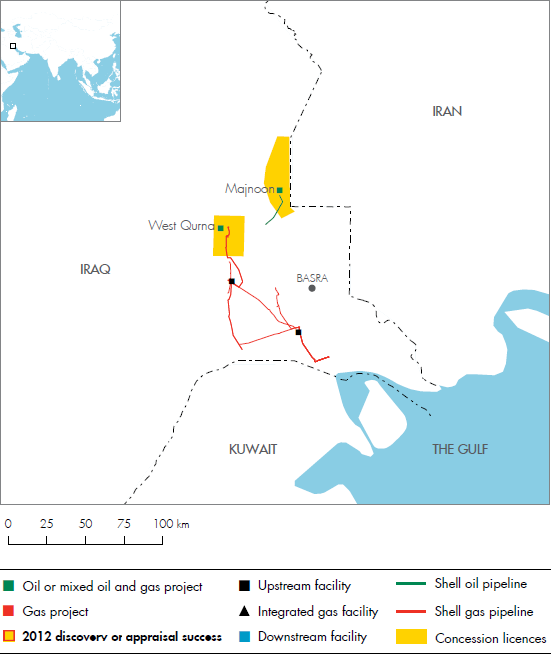 Majnoon is located in southern Iraq and is one of the world’s largest oil fields. 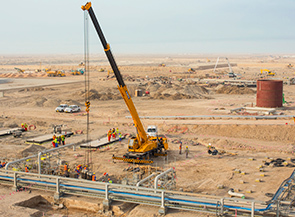 The first phase of the development is planned to bring production to approximately 175 thousand b/d from the level of 45 thousand b/d when the contract entered into effect in March 2010. We also hold a 15% interest in the West Qurna 1 field. At the end of 2012, production was approximately 460 thousand b/d. According to the provisions of both contracts, Shell’s equity entitlement volumes will be lower than the Shell interest implies. In 2012, Shell continued to work in establishing the Basrah Gas Company, a joint venture between Shell (44%), the South Gas Company (51%) and Mitsubishi Corporation (5%). The Basrah Gas Company will gather, treat and process raw gas produced from the Rumaila, West Qurna 1 and Zubair fields. Currently, an estimated 700 million scf/d of gas is flared because of a lack of infrastructure to collect and process it. The processed natural gas and associated products, such as condensate and liquefied petroleum gas (LPG), will be sold primarily to the domestic market with the potential to export any surplus.